1. A couple of months ago, I won a pair of tickets to see the Blue Man Group through the RedEye’s Free Stuff February. (I had really hoped for a 10-pack of SoulCycle classes, but one takes what one gets with these sorts of things 😛 ). I finally cashed in my pair of tickets on Monday. The show was so much fun! I had no idea what to expect, and really don’t know how to describe it, either. It was part rhythm, part music, part art, and part comedy all rolled into an hour and 45 minute show. It was also one of the most interactive shows I’ve ever been to outside of Disney World, and I really enjoyed the audience engagement aspect. I was also quite surprised to be one of the audience members engaged in the show! Both sides of the stage have those scrolling LED signs hung up that, before the show, tell you to turn off your phone, that no photography is allowed during the show, etc. Once it’s time for the show to start, those signs stop telling you to turn off your phone and instead start saying things about audience members, with directions for other audience members to say things. I was very surprised when, once the screen started talking about audience members, the first name to come up was mine! (And it was my full name, not just my first name, so it was, in fact, me they were talking about.) The message started out by saying that there was a special person in the audience, and would Bethany please stand up? I figured this was because I had won my tickets, and for some reason they were going to acknowledge that. Nope. Instead, the sign then informed the audience that I was a bronze medalist in synchronized swimming in the 2012 Summer Olympics. The last I checked, I still don’t really know how to dive into water, so I’m fairly certain this is untrue, but I played along anyway. I’ve never been picked to be an engaged audience member in something like that before, so I was totally amused by this. I can only hope that someone in the audience believed the screen, because if they did, it will probably be the one and only time in my life I’m mistaken for an Olympian. 2. This week has turned out to be totally insane for me. Work hasn’t been that overwhelming, but life outside of work – yikes. This is not how I wanted to start marathon training, having to skip runs because the only possible way I could get them in would be by logging less than six hours of sleep, which is not going to happen. I suppose if this had to happen at some point, earlier in the season is better than later, but I’d really prefer to not have it happen at all. 3. I had planned on going to Pitchfork this year because one of my friends wanted to go, but she found out this week that she apparently has a family vacation at the same time and can’t come any more. Honestly, I wasn’t at all excited about the lineup on Saturday, the day we were going to go, so now I don’t think I’m going to go either. However. I have several friends doing Ironman 70.3 Racine, which is that same weekend, and I’ve been toying with the idea of going up on Sunday to spectate. Has anyone ever done this before? 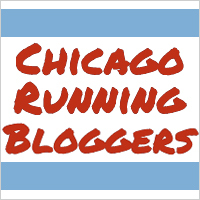 I’ve only spectated the Chicago Marathon, which has got to be one of the easiest races in the world to watch, given how accessible most of the course is by the CTA. The last I checked, they don’t have the L in Racine, so I don’t know how reasonable it is to hope to spectate a half Ironman–or, more specifically, the one in Racine in particular, since that’s the one my friends have registered to race. So if you have spectated Racine, or participated in Racine, I’d love your input. Better now than later with training, I agree. I hope the crazy social life stuff doesn’t happen too much more for you in training… but who am I kidding – that’s life. Sleep is definitely more important! I haven’t spectated Racine, but I have spectated tris, and it’s fun. The metra goes to Kenosha, but I am not sure what public transit there is beyond that! Blue Man Group is huge up in Boston but I’ve never been. That story about you being a synchronized swimmer is hilarious haha I would have probably turned bright red and wouldn’t know what to do, so good for you being able to play along! I was actually telling my roommate about this whole ordeal, and she said she saw Blue Man Group when she lived in Boston! (She’s originally from there). I was definitely a little embarrassed, but I think I was also so surprised by the whole thing that I didn’t have much time to be embarrassed until after the fact haha. Ahhh, I’ve never seen Blue Man Group but I hear rave reviews! There’s clearly a reason why the show has been around for such a long time and is still going strong. How cool that you got free tickets and got picked to participate! Bummer that your schedule has been so crazy hectic – but I also agree. Better to deal with the bumps now than later down the road. Sleep is WAY more important now. It would be awesome to spectate a tri! I kind of spectated once when I volunteered at a tri last year, but I only got to see the run portion from one aid station. I’d love to follow someone along through the different sports and transition! Ooh Blue Man Group is fun! I agree it is difficult to describe but I love how interactive it is! I’ve participated at Racine and Matt has come to spectate a few of my half Ironmans. The swim is pretty easy to spectate and the run course is 2 loops that are mostly just an out-and-back so you could easily spot your participant 4 times. Matt has brought his bike to races before so he can catch me multiple places out on the run course. The bike is a lot harder to spectate and the athletes go by so fast. If you had access to a car you could drive out to a place on the bike course. Otherwise you could just relax in the shade during that portion! Yes, exactly! I feel like training has to be my entire life outside of work, or that, at the very least my entire life outside of work has to revolve around training. And that’s one thing when I have nothing else going on in my life, but when I *do* have other things going on in my life, it’s really stressful! Thanks for your insight on Racine! That’s really helpful! I suppose the one benefit to spectating at a triathlon is that the participants always have to come back to the same spot 🙂 So, if you hang around transition you’ll see them several times! Yes, very true! I spent some time looking at the Racine course/map of the city in general yesterday, and transition does seem to be a good place to spend some time for that race. We’ll see!